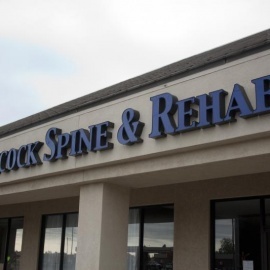 Hancock Spine and Rehab Clinic is a chiropractic and wellness clinic in west Wichita. We deliver chiropractic care for symptoms such as low back pain, headaches, joint pain or inflammation, sciatica, arthritis, TMJ disorders, extremity pain, numbness or tingling, fibromyalgia, herniated disc or degenerative discs, and many more conditions. We are located at 10234 W 13th St N, Wichita, KS 67212. Call (316) 729-4500 to make an appointment today.